" This place was a blessing for my family and I. They were real nice to us took us in like family. I appreciate what they did for me and my family and I will never forget it. This is the best place to come for get deals and most important wonderful honest people! " " Idk what your situation is but I am sure they can help. Very kind an friendly. Will prob continue to buy my cars from here ad long as they are around?? Sold as is or with Warranty. Financing available. " " amazing lot i went from a complete clunker that i didn't feel safe driving to a 2010 minivan. so glad i found this place. " " Just want to say that these guys here are truly awesome. From day one that have been very understanding and helpful. I’m glad to see that their is still good people and humanity out there and these guys show it. Once again thank you. " " I truly recommend Buckeye Auto Network they are very wonderful guys! Willing to work with you and definitely helped me after a long journey in searching for a vehicle. I was about to give up until they helped me!!! Thank you ???? Thank you ?? Thank you ?? " " I zbought a 2009 Pontiac G6. Mark did everything in his power to get me into that car. 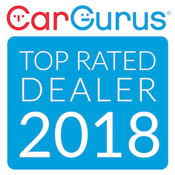 I think they are doing a lot more than selling cars, they are helping people out "
" they are awesome good peoples "
At Buckeye Auto Network in Akron, we can help you purchase your next preowned vehicle no matter your credit situation. We work with multiple banks and lenders to give you options. With the addition of our buy here pay here program, we are proud to say we have credit for you!